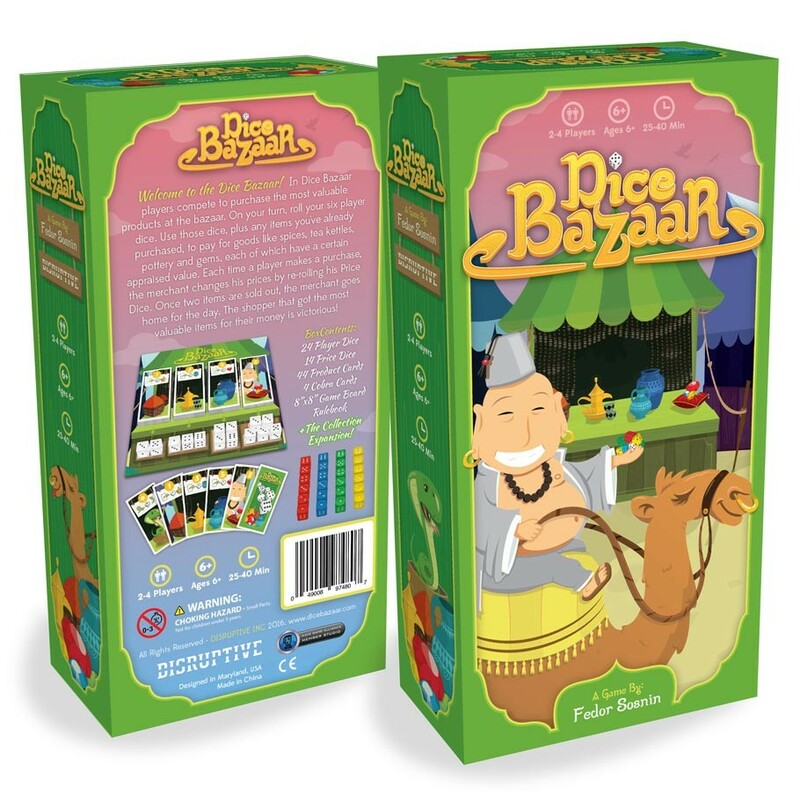 Welcome to the Dice Bazaar where players compete to purchase the most valuable products at the bazaar. On your turn, roll your six player dice. Use those dice, plus any items you've already purchased, to pay for goods like spices, tea kettles, pottery and gems, each of which have a certain appraised value. Each time a player makes a purchase, the merchant changes his prices by re-rolling his Price Dice. Once two items are sold out, the merchant goes home for the day. The shopper that got the most valuable items for their money is victorious!